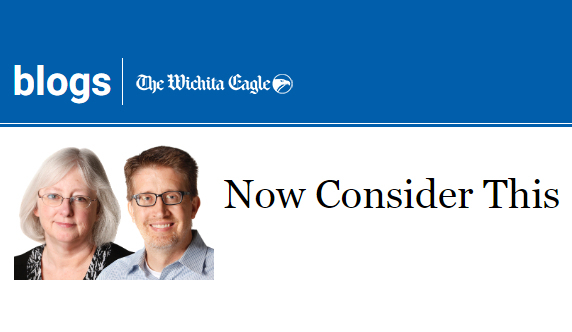 The Wichita Eagle shows how its adherence to ideology misinforms Kansans and limits their exposure to practical solutions for governance. The candidates vying to be Kansas governor have lofty-sounding goals and campaign promises. But here’s the grim reality: Whoever wins Tuesday will spend the next several years trying to fill a budget hole. I have to disagree. Kansas Policy Institute has examined the Kansas budget and found ways to make several structural changes that would immediately (within one year) balance the Kansas budget. This would preserve existing services and fully fund the increases in K-12 school spending and social service caseloads that Kansas Legislative Research has projected. The policy brief that KPI has prepared on this matter is only ten pages long and not difficult to comprehend. The changes that KPI recommends are specific adjustments to the way Kansas spends money. They are not the vague calls to eliminate waste that we see politicians campaign on. This is something that Kansas could do if both Democrats and Republicans have the will. Bob is right. And the Eagle is well aware of our budget plan but declines to let readers know that the budget can be balanced without service reductions or tax increases. It won’t take “several years” to fix the budget; our plan could be implemented by passing a few pieces of legislation. The policy brief I referenced may be downloaded from KPI at A Five-Year Budget Plan for the State of Kansas: How to balance the budget and have healthy ending balances without tax increases or service reductions or alternatively from Scribd here (may work better on mobile devices). A press release from KPI announcing the policy brief is at 5 Year Budget Plan Outlines Path To Protect Essential Services and Tax Reform. Very well said. It would be beneficial for all concerned to have an public forum on KPI’s proposed budget.